Drs Veenhuis, Franzel, Neil, and Barber are pleased to welcome you to our office. 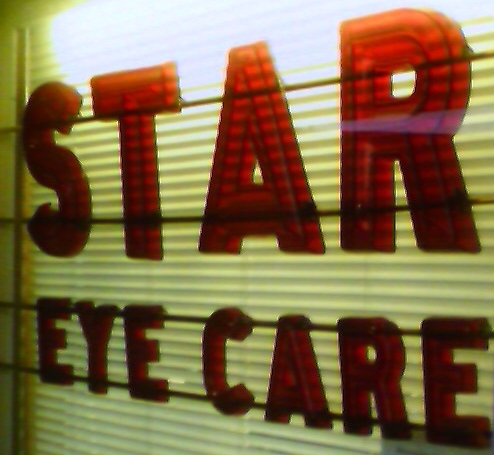 If you're looking for quality eyecare with a personal touch, we hope you'll give us a call. If you are looking for glasses, we have a wide variety of fashion and designer frames. We also fit many types of contact lenses. Our location has been delivering family eyecare to North County for more than 25 years.We look foward to the opportunity of serving your family's visual needs. We are conveniently located nearby and would be delighted to have you as a patient. Eye-Doctor, Eye-Exam, Vision, Contact-Lens Fitting. Bausch and Lomb soflens, purevision. Copyright 2010 Star EyeCare. All rights reserved.